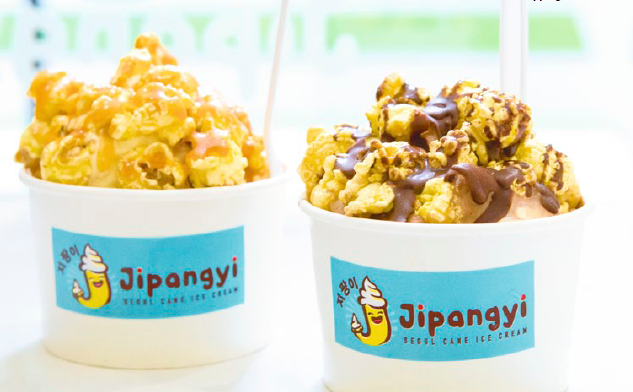 Jipangyi Seoul Cane Ice Cream gets Pinoy-style makeover. When Jay Ong went to South Korea and came across Jipangyi Seoul Cane Ice Cream, a popular street food cart there, he knew it would be a big hit in the Philippines. 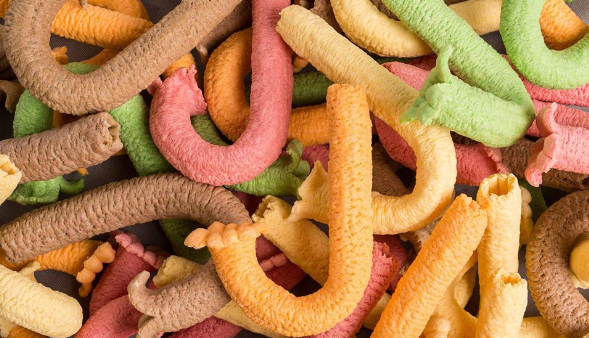 It was just a matter of time before his company Happy Recipe Food Enterprises brought in the concept, which dishes out soft-serve ice cream in J-shaped cones. But, despite his faith in the brand, Ong realized that its standard price point—roughly P120 per cone in South Korea, Singapore, and Hong Kong—would make it a challenge to establish the brand here, especially amongst price-conscious Filipinos. The solution? Ong decided to recalibrate the product, which, in turn, brought down its price tag. Now sold locally at a friendlier P35 per cone, Jipangyi Seoul Cane Ice Cream prides itself as the “healthier” alternative to the usual sugar-laden ice cream cones Filipinos had grown accustomed to. Jipangyi’s main attraction is its signature J-shaped cone dubbed “the walking stick”. The cone is made from corn grits, without any oil or sugar added. “It’s a dessert and a snack in one,” says Ong, adding that eating one of Jipangyi’s signature cones is like having ice cream and corn chips at the same time. He believes that Jipangyi’s main product offers consumers more bang for their buck. “Sulit ’yung P35 mo,” he says. Jipangyi opened its first Philippine store in September 2014 in SM San Lazaro and now has 58 stores, six of which are company-owned. Now, the franchise has an outlet in nearly all major malls in Metro Manila, and is slowly making its way to the provinces, with Ong targeting to open 100 stores across the country. Success hasn’t made Ong stop coming up with new ideas, though. “Before, we only had the classic cone,” he says, noting that it was the only variant sold in South Korea. The Philippine franchise, though, offers assorted toppings and flavors, as well as J-Pop, which combines ice cream and caramel popcorn. This story was originally published in the August 2015 issue of Entrepreneur magazine.